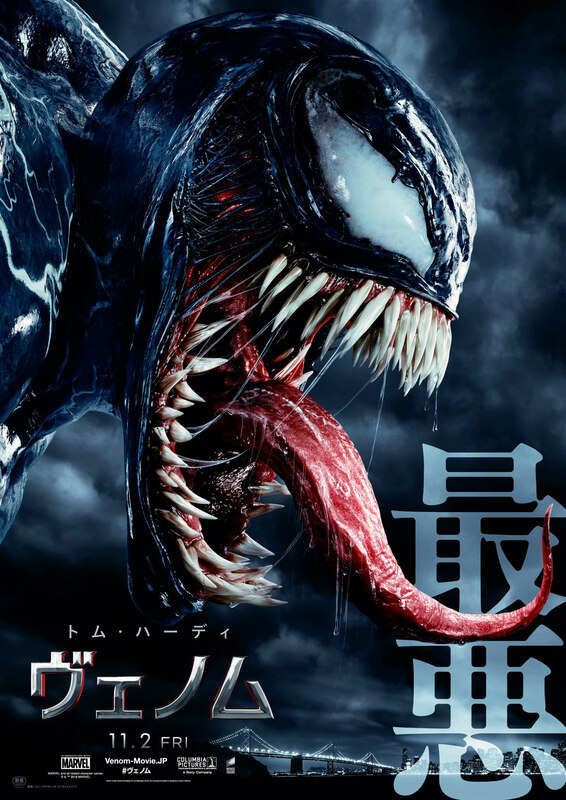 Sony Pictures has released a new international trailer and poster for “Venom,” their upcoming film adaptation of the Marvel Comics title which is a spin-off of “Spider-Man”. The new film contains no connection to the new Spider-Man films and stars Tom Hardy as Eddie Brock, the host for an enormous symbiote known as Venom with the pair combining their strengths to take on other beasts. Ruben Fleischer helms the film which also stars Michelle Williams, Riz Ahmed, Jenny Slate and Woody Harrelson. Amy Pascal, Avi Arad and Matt Tolmach are producing the film which opens October 5th.